Mick S Aug 22 2018 4:58 pm hopefully he received awards for his performance in 'Thank you ' he's , in my opinion comparable with Tom Hanks ' Forest Gump' character performance. All the actors in 'Thank you ' were excellent. This is the only drama I watched more than once. LKB Feb 12 2018 10:24 am I adore this actor... Such steady performances no matter his role and great, positive interactions with his colleagues... Massive talent and still very admirably active, even in theater not long ago. He has a ton of awards behind his belt, probably too many for asianwiki folks to gather without making the list almost as long as his entire resume! Just seeing his smiling face with great facial lines/physiognomy and twinkling eyes makes me smile. I hope he doesn't have to retire anytime soon-it feels like he just hit his prime even though he was marvelous decades ago as well!! Arihant Nov 25 2017 3:46 pm Just saw him in "war on Money" and he aced the role as the mentor to the lead character.Each expression and dialogue fits him so well in this show! !Will now check ou his shows. cactus Jul 26 2013 9:22 am Shin gu halbae, you are my favorite in Kkot boda harabeoni. Your easygoing smile is as beautiful as the sights of paris! 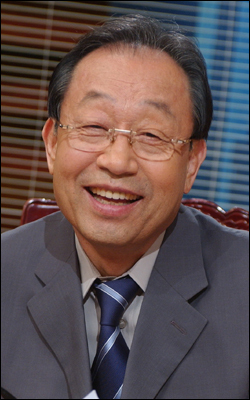 hahay Dec 21 2011 11:56 pm the great singer lee dong jin~!!! hahahah!! way to go harabuchi!